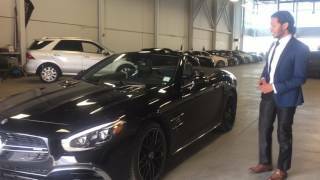 Mercedes launched sixth generation of its SL range in the year 2012 and now at the 2015 LA auto show the vehicle gets more robust with the AMG’s teamwork. 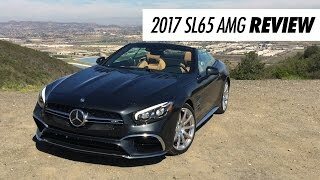 We are here talking about the Mercedes Benz SL65 AMG 2017 which is now housed with better looks and comfort and delivers more powerful performance. 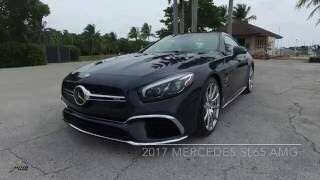 Let us get to know more about this through review of Mercedes Benz SL65 AMG 2017. The interior of Mercedes Benz SL65 AMG 2017 doesn’t receive many upgrades but those integrated make it unique in its class. The first thing that you might notice will be the Nappa leather wrapped sports seats featuring lateral support. In front of it is the three-spoke steering wheel wrapped in same fabric however the button configuration has been revised making it more driver centric. The center stack is almost the same but an analogue clock has been added featuring carbon-fiber trim while the AMG Performance steering wheel and Dinamica inserts come as an option for your model. In all the interior details of Mercedes Benz SL65 AMG 2017 are limited but are sufficient to make the model more comfortable and driver centric. The exterior of Mercedes Benz SL65 AMG 2017 has almost similar body specs as we noticed in the regular SL model. However the body is given a bit of aggression to complement its powerboost. Starting with the front fascia there is a twin-blade radiator grille featuring chrome inserts on its upper part while the bumper beneath gets horizontal slats. There is also a front splitter that not only adds to looks but also makes the model better. Moving towards the rear end, you’ll notice the 19-inch front and 20-inch rear 10-spoke alloy wheels adding to the gleam and performance through their light weight. The rear end has aggressive all-red taillights while the trunk lid spoiler makes the model look more sportive. Beneath these the model has quad-exhaust configuration while the beneath the exhaust pipes you’ll notice chrome inserts. In all the exterior details of Mercedes Benz SL65 AMG 2017 make the model look more aggressive and sportive. 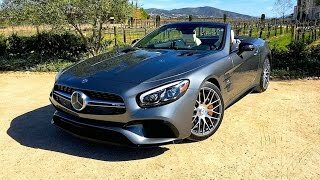 Beneath the hood of Mercedes Benz SL65 AMG 2017 is the powerful 6.0 liter V12 Biturbo engine generating total output of 621 hp and peak torque of 100 nm mating to all new nine-speed automatic transmission. With this power rolling the lightweight alloy wheels, the model can sprint from 0-60 mph in just 3.9 seconds while the top speed of Mercedes Benz SL65 AMG 2017 touches the mark of 186 mph.